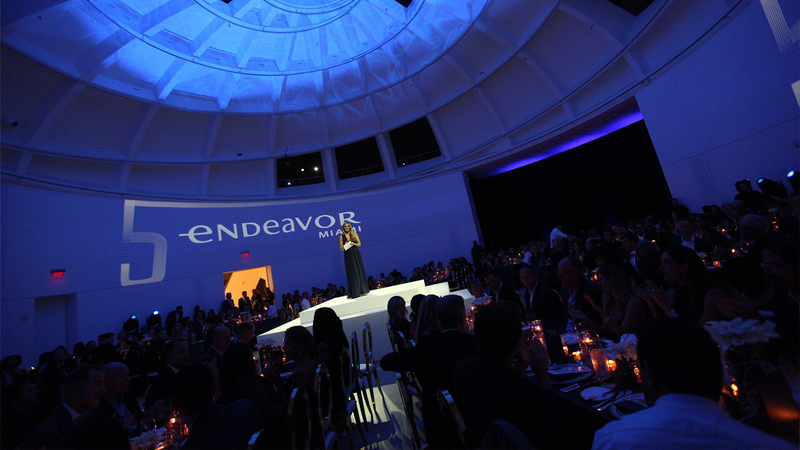 To celebrate the 5th anniversary of Endeavor Miami, this years gala was held at the Faena Forum, Miami Beach. The event serves to celebrate Endeavor Miami’s high-impact entrepreneurship movement. Also to recognize Endeavor Entrepreneurs in Miami. We helped with the branding to enhance the experience for a memorable evening.